I'm going to be brutally honest about something here, and it absolutely shows a fault in my character as a writer for gaming. I put way too much stock in what EA showed during their E3 press conference for Dead Space 3. They showed cooperative gameplay, and it made one of their best franchises look criminally altered. That's the viewpoint I had walking out of EA's presser. I thought Dead Space 3 was a complete break from what made the franchise so special. If EA had shown the world the full behind-closed-doors demo I saw today during their press conference, I would have been singing a completely different tune. They couldn't, of course, devote 30 minutes of their showing to one game. I get that they picked the cooperative stuff because it's what's new; but, it just didn't look like the Dead Space experience so many have fallen in love with. The solo play remains intact. 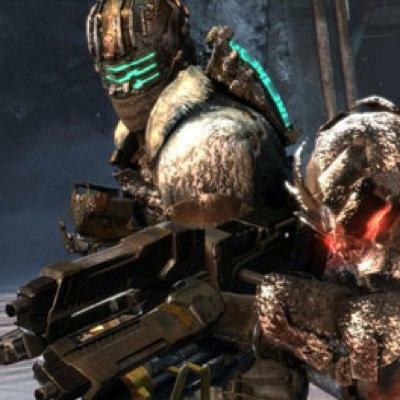 Here's the good news: Dead Space 3 is built as a solo game. This singleplayer title runs with the exact same horror style and tension that we all fell in love with a few years back when the franchise kicked off. We saw Isaac Clarke walk through the frozen tundra of a brand new planet. We also saw super cheesy jump scares and a lack of brutal atmosphere. Yes, the tension remains in place for this game; however, it relies on jump scares. At least, that's the case for the 30 minute demo we saw. There are also humans in this game that must be fought. Isaac can duck behind cover (it's not sticky cover, like Gears of War) and use his abilities and weaponry on the human enemies. In addition to humans, we saw new necromorphs. One of the best variety came in head/tentacle form. They hopped onto the dead bodies of humans and took them over. That meant that every corpse, necromorph or not, was suspect for reanimation. Cooperative is optional, and it seems strong. The cooperative play in Dead Space 3 absolutely makes the game feel more like Gears of War than its originally intended style. That's fine, simply because it's an entirely optional experience. If you don't want to play it cooperatively, you don't have to. But, if you do invite friends, the game adapts and makes room for two people in great ways. We watched Isaac invite his counterpart during a small boss fight. Isaac died, his counterpart accepted the invite and then the two player game began. It was seamless. With two friends together, the game still moved and worked well. Consider this diversion, officially, a fun one. I once was cranky, now I'm fine. Like I said, watching the EA presentation on Monday had me thinking Dead Space 3 was going to be a complete bust. I've owned to that and am officially changing my stance. The game looks great for Dead Space fans. Perhaps a little too reliant on cheap scares for the taste of some, but not a complete diversion for the franchise. The game will launch for in March of next year.